Halloween hasn't ever been a huge thing here in the UK really has it? Well at least I don't remember it ever being. I have some really vivid memories from trick-or-treating as a child, and though they are fond moments to reflect on, the idea of letting my children knock onto strangers doors and accept sweets seems to alien to me now. After all, we spend so much of our time telling children not to talk to strangers and all of the warnings that come along with that. That doesn't mean I wont be dishing out a tonne of sweets to all of the locals in our village. Last year we popped a sign on the door after 7:30pm asking nobody to ring the bell as not to wake the boys, but simply help themselves, I was pleasantly surprised the next morning to notice there were sweets left - what an honest village we live in. I'm not sure younger me and my siblings would have such restraint as not to take the majority of the bowl. The boys nursery have a little party on 'Cat and Pumpkin day', meaning they can dress up and engage in spooky activities all day long which I think is so sweet. I love that we are adopting more and more celebrations from the US in regards to Halloween, I know they like to go all out and with pumpkin patches becoming more popular, I think it's only a matter of years before the UK really start to enjoy the 31st in a huge way. I remember as a student in my university days it was merely another excuse to drink, so we celebrated it quite heavily then. We do try to celebrate Halloween in our own little way though. 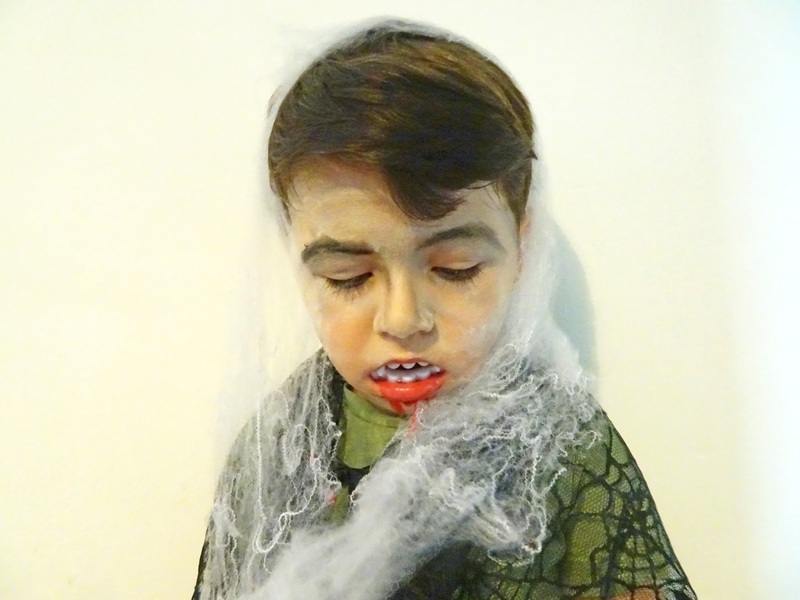 We bake cakes and cookies, build dens to tell spooky stories and Noah is old enough this year to have his face painted. 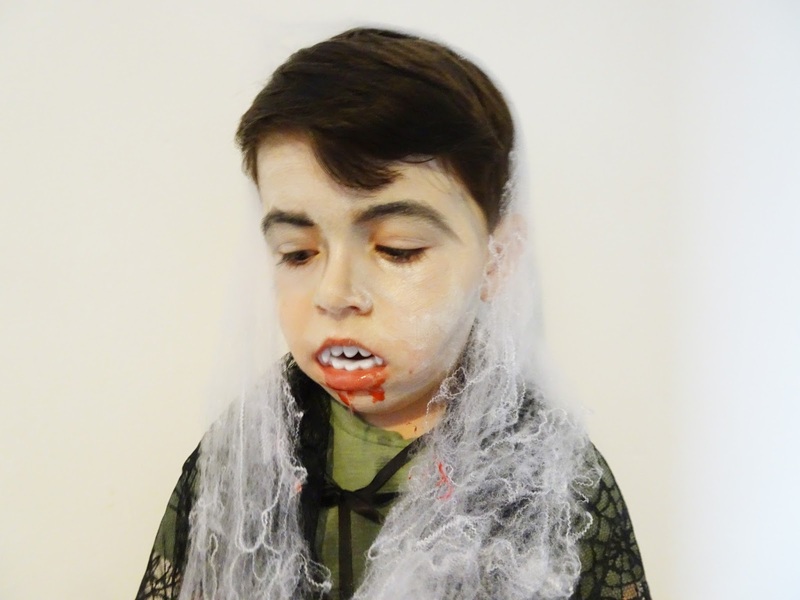 After experiencing his first face paint earlier in the year at Chester Zoo, I've been badgered for another one ever since and Halloween feels like the perfect excuse. I've already grabbed up some little sets from the local bargain store to test out on him. He sits ever so still and loved every moment, contrary to what the pictures may represent. I quickly realised though that in a house with the majority of the walls being white, face paint probably isn't such a fantastic idea after all. So out came the Waterwipes, still a complete essential in our household and a brand I was delighted to team up with on this post. They've released some child friendly tips to remove stubborn face paint from children, so whether you're heading off on that school disco or you're making the door knocking trip around your street, your little one can head to bed with a fresh face. Avoid fragranced wipes as these may irritate your childs skin. 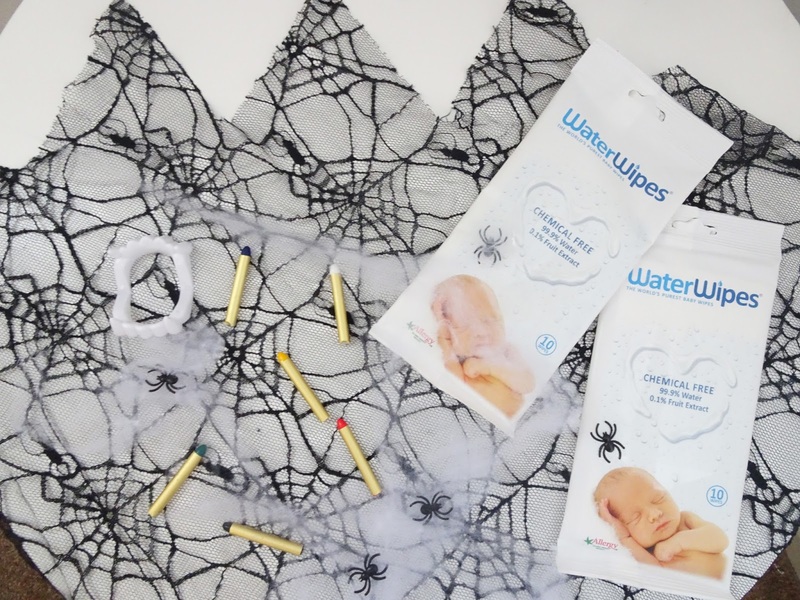 Waterwipes are a perfect go to for Halloween as they are 99.9% purified with water. Generic wet wipes may contain oil extracts, which act as a perfect seal to skin pores. Using Waterwipes will ensure that your child's pores do not become clogged. Do not harshly scrub the paint off, this only pushes the paint deeper into pores which will cause further irritation to your child's sensitive skin. Gently wiping in a circular motion is the most effective way to remove face paint. As children's skin is much thinner than adults.